It’s a new year and time for new challenges. This year I’ve signed up for the Australian Women Writers Challenge (AWW). This is something I have been meaning to do for a few years and finally going to commit to doing it. For those that are unaware, the AWW is a wonderful challenge that encourages people to read and review books by Australian women. This is a challenge that anyone can participate in, you don’t have to be a blogger, you can review on Goodreads, Facebook, or other social media! 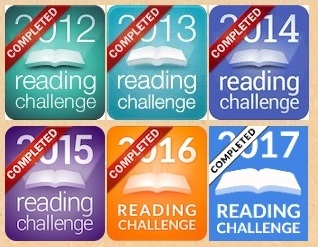 I have chosen the Franklin level which means I will be reading 10 books with an aim to review 6 of them. This seems manageable and I look forward to discovering some awesome Aussie women writers. There are various levels to aim for, or you can be brave and choose your own goal. To find out more about the challenge and see if it’s something you would like to participate in, check out the website. The challenge runs from 1st January to 31st December so there is plenty of time to complete your goal, and you can sign up at any time during the year until the end of November.